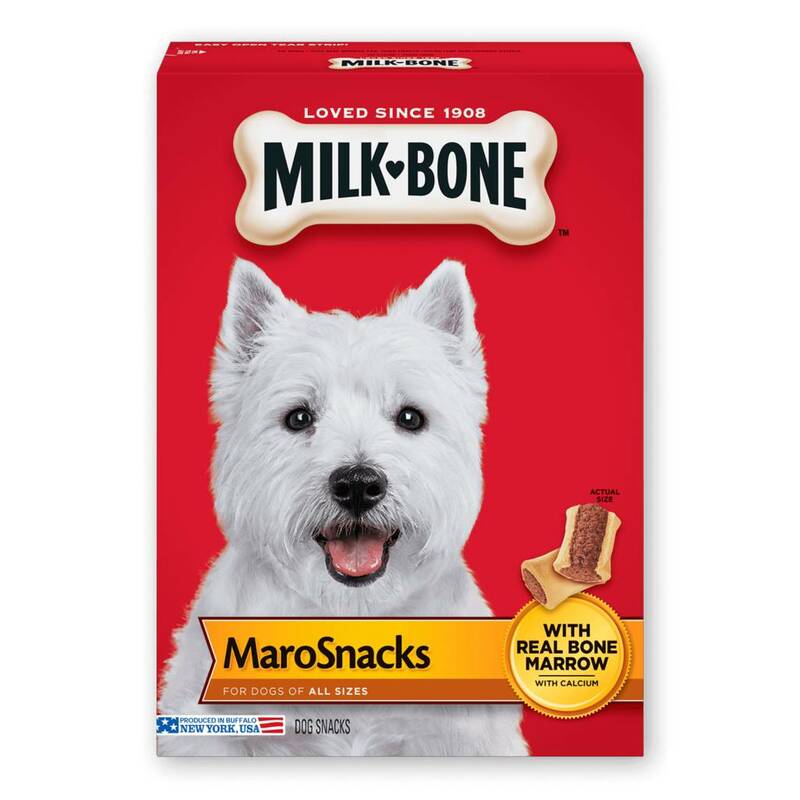 Prepared with care by the makers of Milk-Bone® dog snacks these tasty treats will give your dog the simple genuine joy that your dog gives you every day. Rich in calcium to help maintain strong teeth and bones. Wheat Flour, Meat and Bone Meal, Sugar, Dried Poultry By-Products Digest, Cooked Bone Marrow Beef Fat (Preserved with Tocopherols), Salt, Corn Starch, Annatto Color, Red Iron Oxide (Color), Red 40, Sodium Metabisulfite (Used as a Preservative).